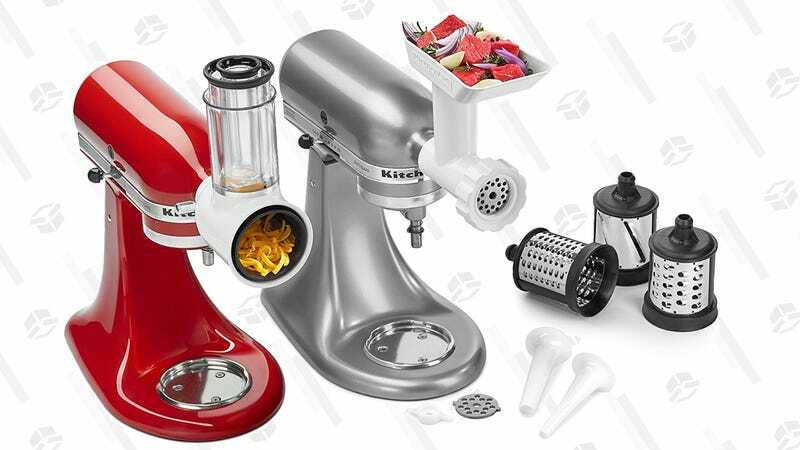 KitchenAids are good for a lot more than mixing dough; you just need the right attachments. For just $75 on Amazon today (down from the typical $90+), you can get two essential accessories in one package: a shredder/slicer and a food grinder. 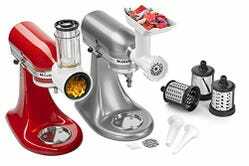 The former can make quick work of splicing vegetables or grating cheese, while the latter can grind meats and even stuff sausage casings with the included accessories. It’s like your own personal sous chef.